I was surprised at the serious attitude of the westerners toward playing while I was moving around abroad in a foreign company. While I'm working on kayaks, I will do everything possible for safety. I also got an ACA (American Canoe Association) certificate for instructor. Then I write a book about sea kayaking and also provids text books. I participates in the surf kayak world championships, surf kayak world cups and so on. Our club house is facing the Sotoura beach. 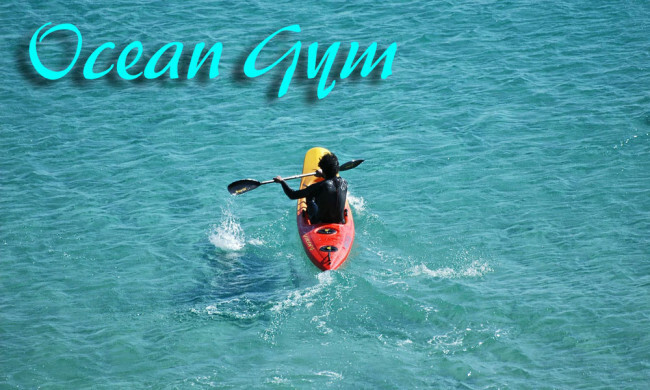 The waves are quiet and it is the perfect place for rowing kayaks. 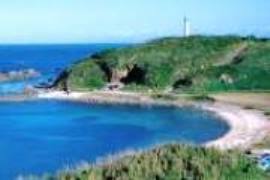 There are plenty of attractive places such as small islands off the coast and cove at Suzaki Peninsula. 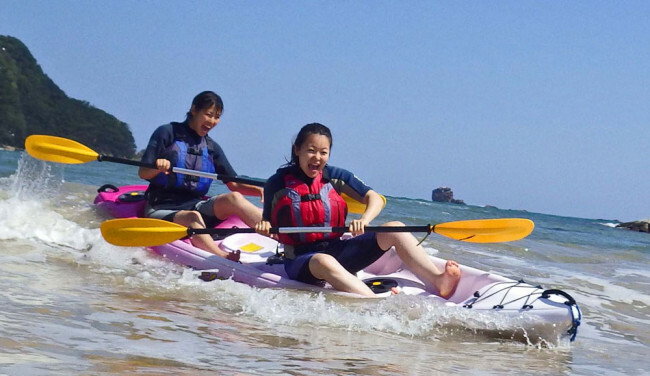 In summer, you can enjoy both sea kayaking and snorkeling in one course. 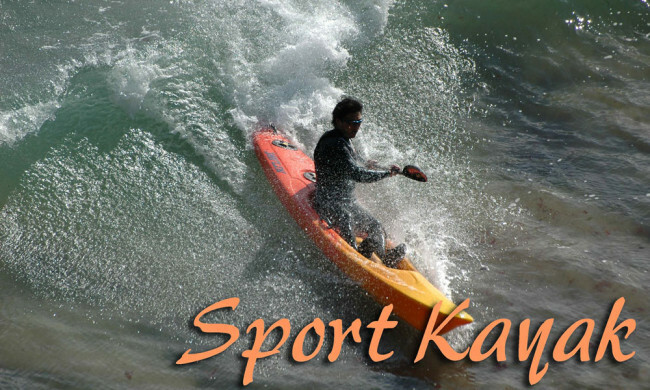 From autumn to spring you will experience the sport kayak full of speed, overcoming the waves, getting out of the beach. As I am an American Canoe Association official certified instructor, I can teach you in English. Tsumekizaki Lighthouse. Sotoura is the base of the Suzaki peninsula. When you go out to the sea and proceed along Suzaki peninsula, crossing the offshore of Emperor's resort mansion, the lighthouse of Tsumekizaki will eventually come into view. It is the southeastern tip of Izu peninsula. Even the flow of the tide is rapid and the area is difficult for navigation, the color of the ocean is deep and impressive. Tsumekizaki Cape with the lighthouse projecting into the immense sea is always somewhere in my heart. Above the sea. Kuroshio current is a huge river that crosses the sea. Sea is not always flat but often turbulent, which sounds thrilling for kayakers. 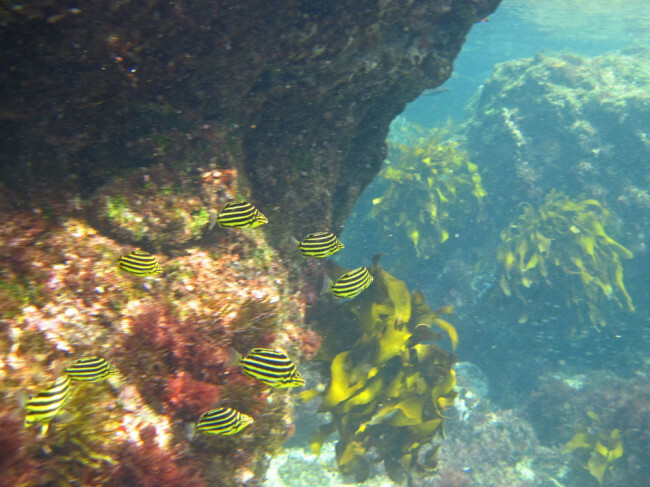 If you dive with snorkel, many beautiful sea creatures will welcome you near the reef. While simply floating in the sea, I just fall into revrie over the world spreading beneath. The view of small Islands off the coast of Sotoura, with Izu 7 Islands floating afar. 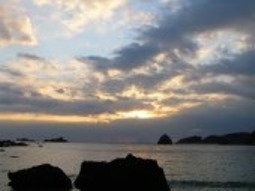 Fudejima, a brush island, standing upright is the center of the bay, harmonizes with the perfect arch, which white sand beach depicts. Rugged islands are connected to the open sea, and in the course of kayak, we will go around these archipelago like knitting. The 7 islands, Oshima, Toshima, Niijima and others seems coming closer on a sunny day. Let's go out to the Pacific.